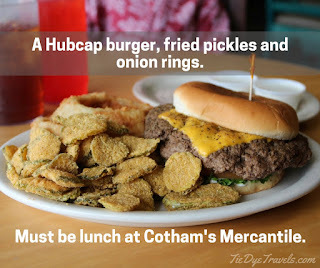 An Arkansas Classic: Cotham's Mercantile in Scott. 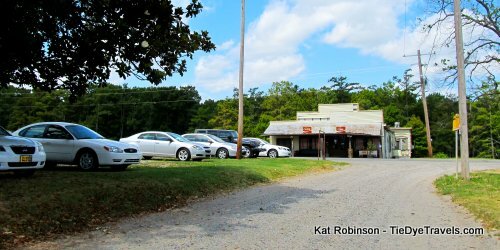 UPDATE: Cotham's Mercantile burned the morning of May 30th, 2017 - a loss to Arkansas's culinary landscape. 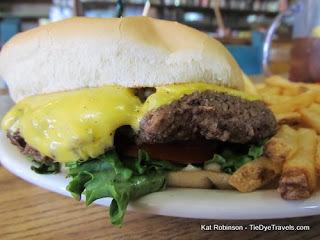 The restaurant's sister eatery, Cotham's in the City, continues to serve an almost identical menu. 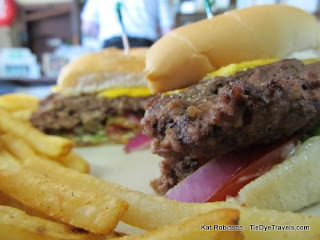 Indeed, it wasn’t long before the store was full of tables rather than merchandise, and those tables were full of folks rubbing elbows and placing those elbows on the table while two-handing the restaurant’s famed 17 ounce Hub Cap Burger with a side of double dipped oversized onion rings. spice heavy on onion powder and a snap of thyme, griddle-crusted and cooked to medium well. The tomatoes and lettuce and pickles and onions are plentiful. The whole thing crushes the bottom bun from the weight, but that’s all right – because, unless you are able to eat it very fast (and few are able), you’ll need a fork by the time you are done. 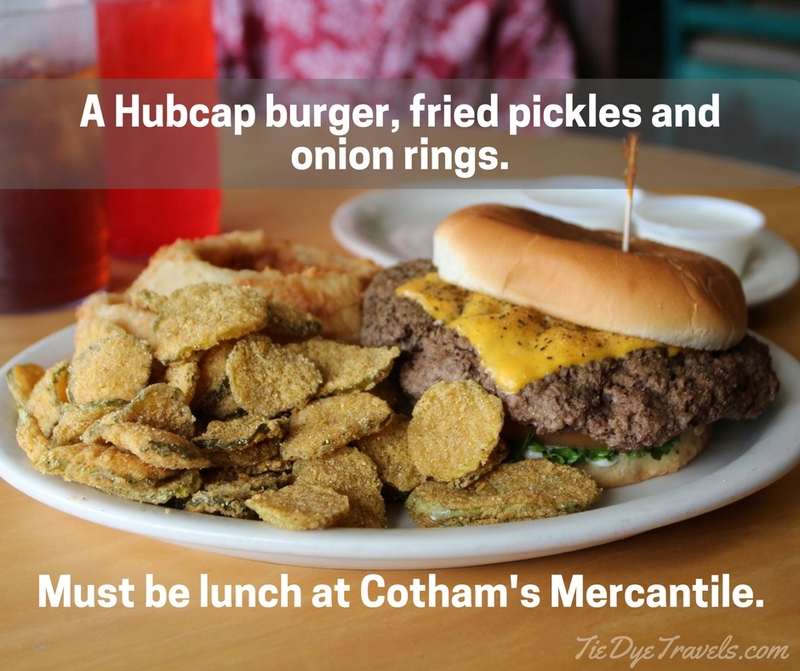 You'll find Cotham's Mercantile at 5301 Highway 161 in Scott. Check out the website for more information. 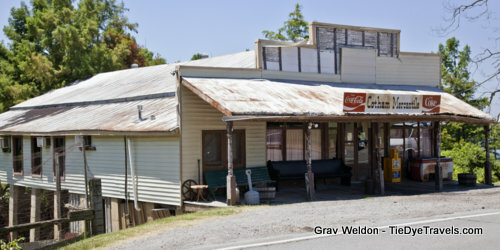 UPDATE: Grav Weldon shot this video the day Cotham's Mercantile burned.